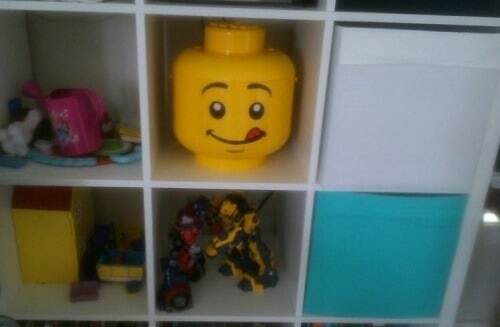 Firstly, when my son is asked what his favourite Christmas present this year his answer without hesitation is his “Lego Head, so that is a pretty solid endorsement right there! From a storage point of view it has effectively contained our overflowing Lego situation and because it’s a novel way to store Lego the kids have been more eager to get involved in packing it all away – and as a “shoes off inside” household our feet are extremely grateful to not have tiny bricks littered all over the floor anymore! In the Ikea “Kallax” shelving unit. Also, if you’re an Ikea fan, it fits PERFECTLY in the “Kallax” cube shelving unit. 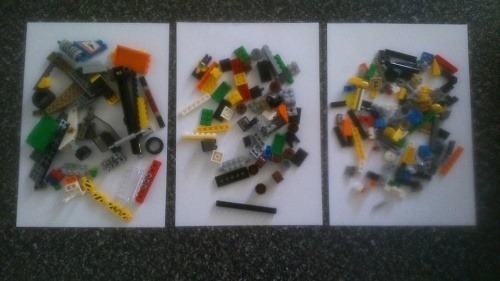 As far as “sorting” the Lego goes, it didn’t work so well as I’d imagined. 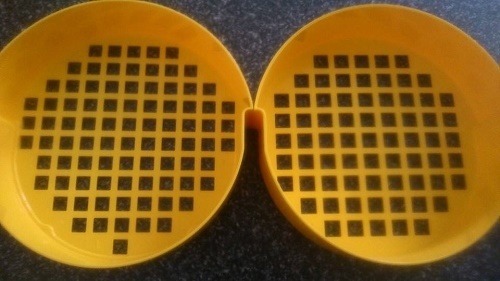 It seems to sort it into “Large” and “Smaller”pieces with very few blocks getting trapped on the middle layer. So it does work, but maybe not as dramatically as I would have thought it would – I think the issue is the “large” and “small” gaps aren’t actually significantly different. 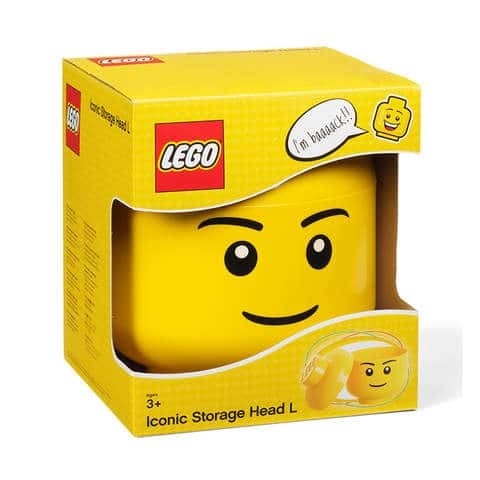 So, if you’re looking for a fun way to store a lot of Lego, the Lego Sort and Store Head is a good option – and it will sort the Lego, but just not dramatically. Overall, I’m happy with it, but only because I bought it on sale for $19 in Kmart right before Christmas, I think I’d be disappointed with it if I paid full price (Approximately $40). BUT my little boy is happy with it, so in the end that’s all the really matters.